Guys, the cookie dough addiction is becoming a problem. 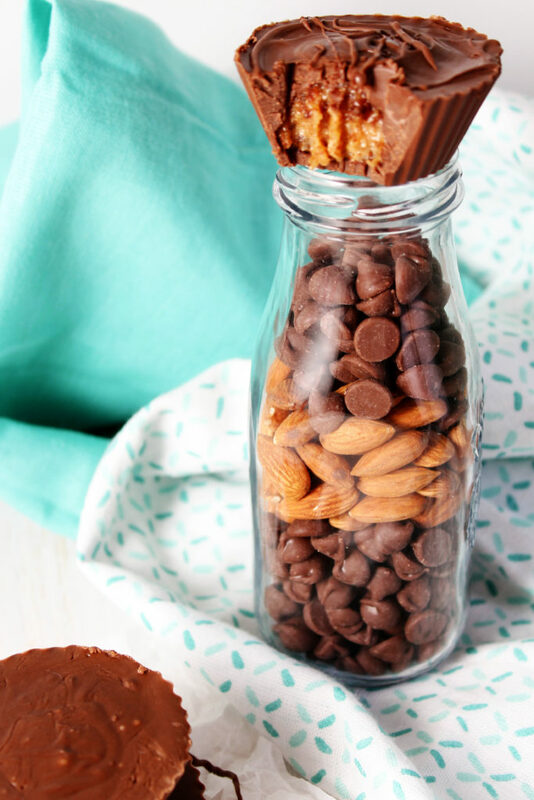 And now, these healthier almond butter cookie dough cups! 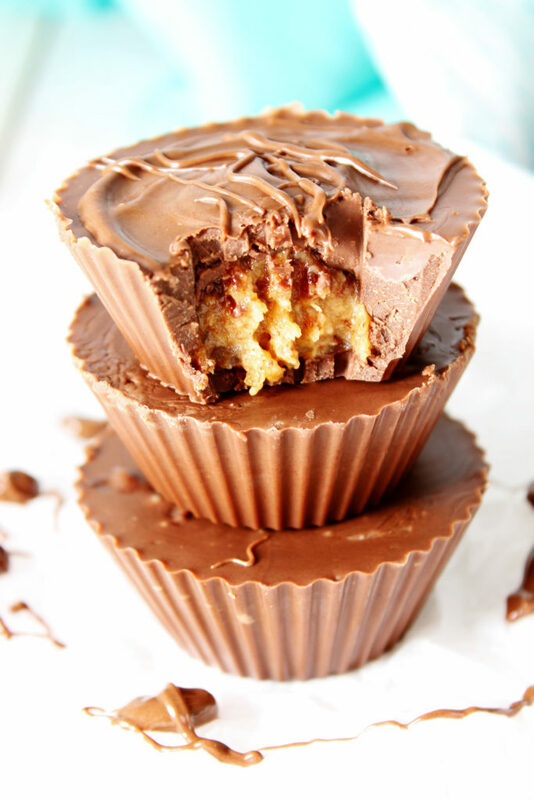 Now, these melt-in-your-mouth almond butter cookie dough cups are a little more indulgent than my typical recipe. But, hey, everything in moderation is my motto, afterall. 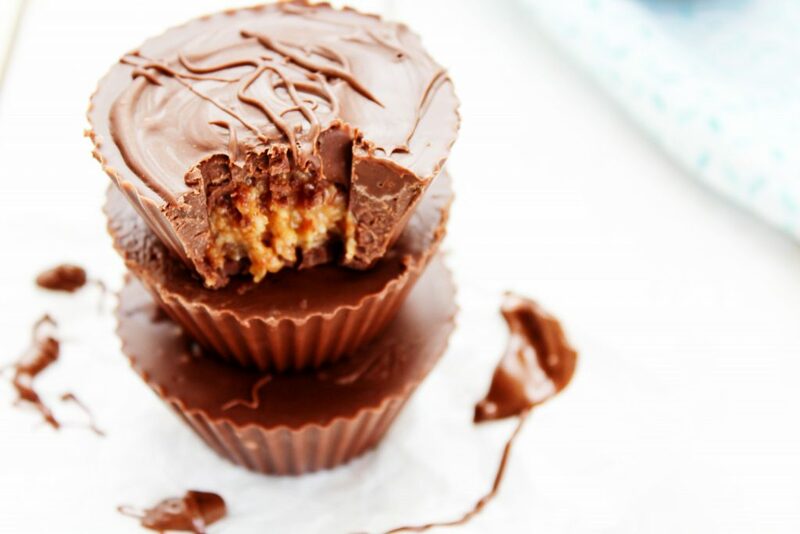 The good news is they are still healthier than your average store bought chocolate cups because this filling has no added sugar. And, if you’re like me and have looked at a picture of home made chocolate cups and thought, “Those look impossible to make!” Well, I’m here to tell you they’re actually really easy if you have the 2 magic items. #1 is oil. Adding just a little bit into the melted chocolate makes it easier to pour and manipulate. The oil also allows it to set smoothly, which is how you get the nice, clean top of the cup. #2 is silicone muffin liners. They’re pretty rad! These guys hold their shape so you can pick them up and move them around. You will need to manipulate the melted chocolate up the sides of the cupcake liners for the base, and using these guys makes it a piece of cake! Or…piece of cookie dough cup? That just doesn’t have the same ring to it…. Anywho, another reason I love these guys is because once the whole cup is set, all you have to do is peel away the silicone liner. There’s no sticking! All that’s left is a beautiful, delicious treat. Bonus: they’re reusable! You’re welcome, Environment. 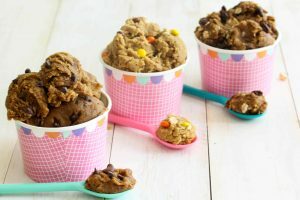 I think these almond butter cookie dough cups would make a great back-to-school treat for the kiddos on the first day of school, which is partly why I made the recipe for a small batch of 3 cups. 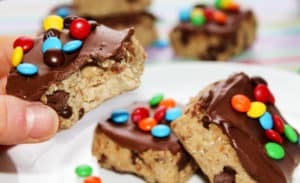 However, if you’re like me and all back-to-school means is more traffic in the a.m. on the way to work, they also make the perfect late night snack for the adults. If you want to make some for a gathering, party, your work friends, or shoot, just yourself (no one is judging here), then the recipe can easily be doubled. 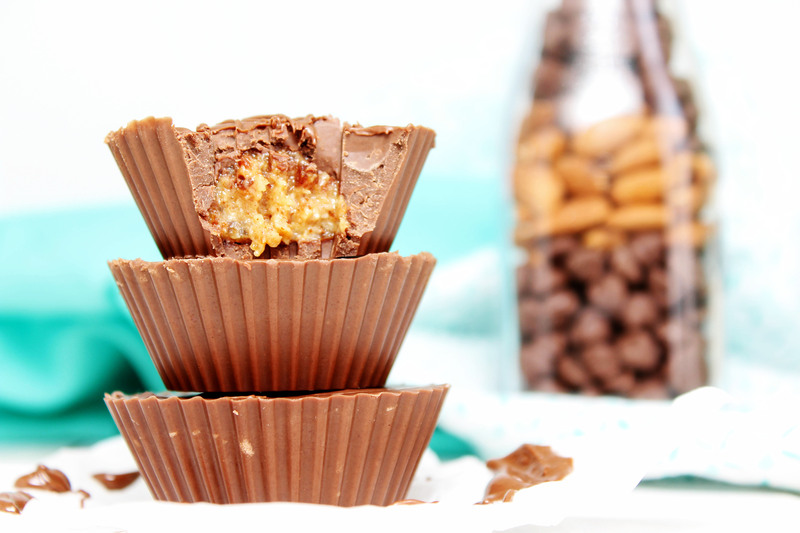 Or, you can even make mini cups. There’s really no wrong way to make these little cups of joy! What will you be making these treats for? For the chocolate cup base, melt 1/4 cup chocolate chips in the microwave for 30 seconds. Stir the chocolate and, if needed, microwave for another 10 seconds until almost fully melted. Add 1 tsp oil to the melted chocolate and stir together until smooth and creamy. Pour 1/3rd of the chocolate into 1 of the silicone muffin liners and rotate the liner so that the chocolate will cover the sides 2/3rd of the way up. Place the liner in the fridge to harden. Repeat steps 3-4 with the other 2 liners. For the cookie dough, place all the ingredients into a food processor or blender and blend until smooth. Once the base of the cups are hard, place 1 Tbsp of cookie dough into the chocolate base. Repeat steps 1-2 for the remaining 1/4 cup chocolate chips and 1 tsp oil. Pour the chocolate evenly over the 3 cookie dough filled cups. Tap the bottom of the cups gently on a hard surface to even out the top. Place in the fridge to harden completely. This is such a treat! I am in love with these! Thank you!